The semi-rigid skin we produced is one of the most functional ways to cover body parts with large curvatures, such as arms of iCub. It serves some of the most pressing needs in robotics for the time being but soon we'll need something superior to that made possible today with off-the-shelf components. To effectively use electronic skin in robotics or elsewhere, we need sensory data to be acquired and transmitted in less than a millisecond so that the robot can react quickly. That means that high-mobility materials like single-crystal silicon are a better option. At the University of Glasgow, we're developing electronic skin using silicon and other high-mobility materials that can be processed using micro/nanofabrication tools. Flexible, human like skin will be particularly important in our attempts to improve prosthetics a field that is already, in many ways very advanced. 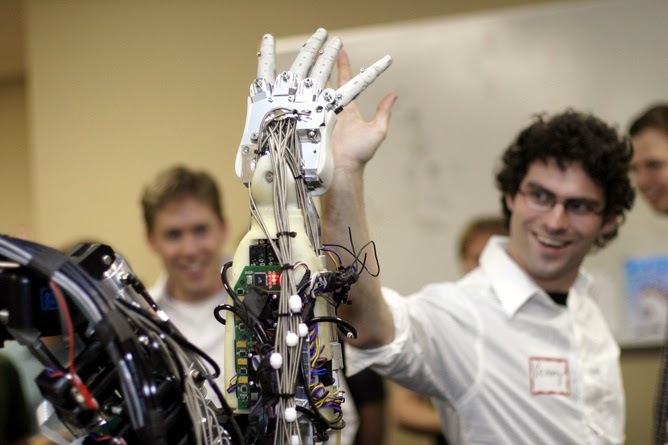 Using what's called myoelectric linking, a prosthetic limb can pick up electrical impulses from remaining muscle fibres on the arm or leg, transmitting those impulses to articulating fingers and a thumb. Once these hurdles are overcome, we can further improve the experience of using electronic skin using smaller and more efficient batteries and lifelike materials that will more closely resemble real skin. It's an exciting era for the field, with lots of developments on the horizon. 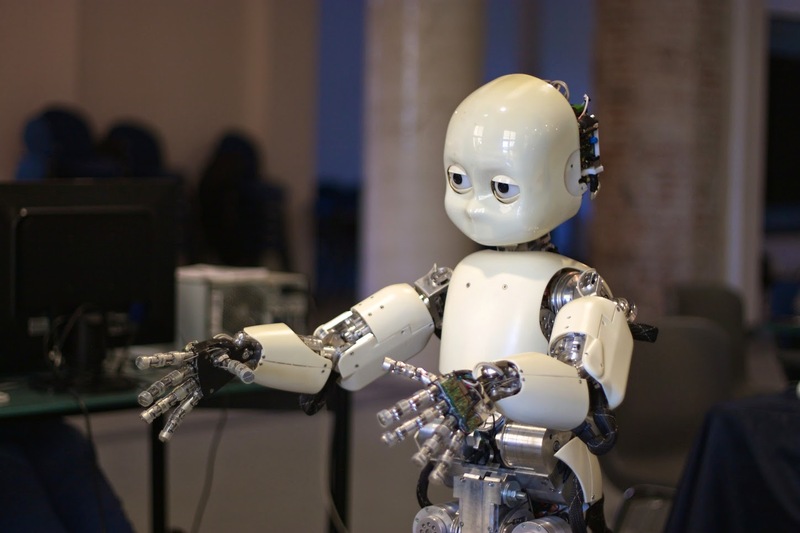 Accessing things, human and robotics are reaction is different. It is the difference between electronic and human.